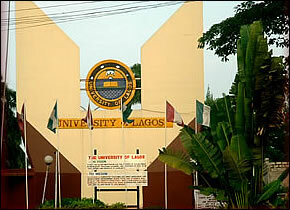 University of Lagos (UNILAG) in partnership with University of Bedfordshire, University of Central Lancashire, University of the West of England, De Montfort University, Leicester, and University of Birmingham, UK and Soochow University, China announced admission into School of Foundation Studies (Formerly Foundation Programmes/Diploma II) for the 2016/2017 academic session. Applications are invited from suitably qualified candidates for the Foundation Programmes offered by the University of Lagos in the 2015/2016 Session. Students who have two A-level passes, HND holders and graduates of recognized Institutions are exempted from the entrance examination and may be considered for admission into the Foundation Programme. Highly successful candidates after the examinations administered by the Joint Universities Preliminary Examination Board (JUPEB), are eligible for consideration for direct admission into the 200 Level of the Degree Programmes of the University through JAMB (Joint Admissions and Matriculation Board) or admission into either the University of Bedfordshire, University of Central Lancashire, University of the West of England and University of Birmingham, U.K. as well as Soochow University, China. This is strictly a non-residential programme. (i) Chemical Engineering (vi) Metallurgical & Materials Engr. (ii) Civil & Environmental Engr. (vii) Petroleum & Gas Engr. Law-Related Programmes: Law, Human Rights, Law and Criminology. Construction-Related Programmes: Commercial Management & Quantity Surveying, Construction Project Management, Facilities Management, Building Services and Sustainable Engineering, Architecture..
A minimum of FIVE credits (English Language and Mathematics and three relevant subjects) obtained in one sitting at the SSCE/WASSC, GCE/O/L, NECO with results obtained before registration. Note that Engineering, Computer Science, Mathematics candidates require credit in Further Mathematics. Candidate must be 16 years and above by 1st October, 2016 to be eligible for Direct Entry into the University of Lagos. go through the information on subject combinations for completing the Application Form. name on the staff children list to obtain a payment reference number (PRN). Cost of Application Form (including on line practice tests (excluding Bank Charges)): N= 25,000.00 (non-refundable). Ø The Application opens on Monday, 4th April, 2016 and closes on Friday, 19th August, 2016. Ø Examination Dates: 29th August, – 1st September, 2016. Examination subjects are: Mathematics, English Language (20 questions each) and 3 other relevant subjects of 15 questions each, that is, a total of 85 questions to be answered in 1 hour. Results:- Results will be released on the University website and at the Faculties on: Tuesday, 8th September , 2016. 0 Response to "UNILAG Foundation/JUPEB Admission Form is Out – 2016/17"